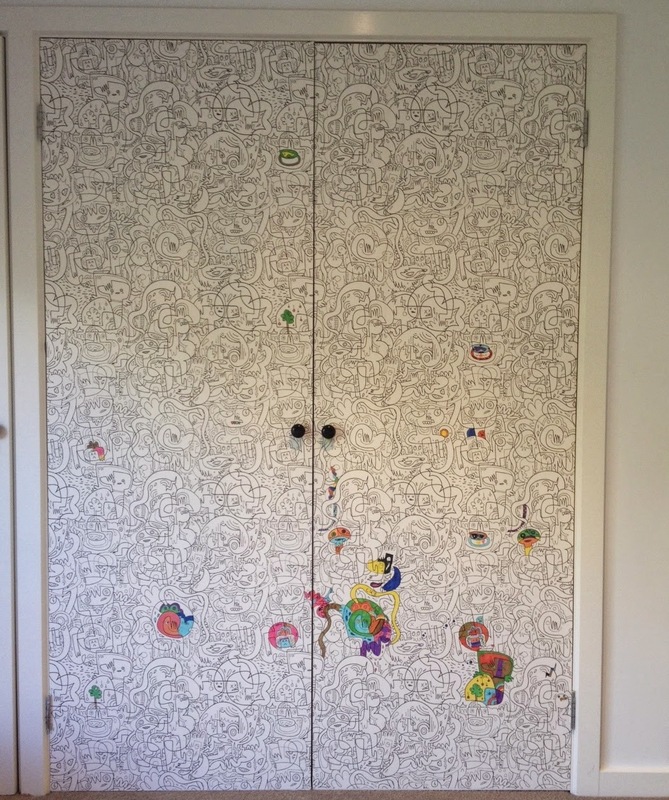 On the weekend we wallpapered my Miss 7's wardrobe doors with a 'colour-in' wallpaper called Burger Mash. 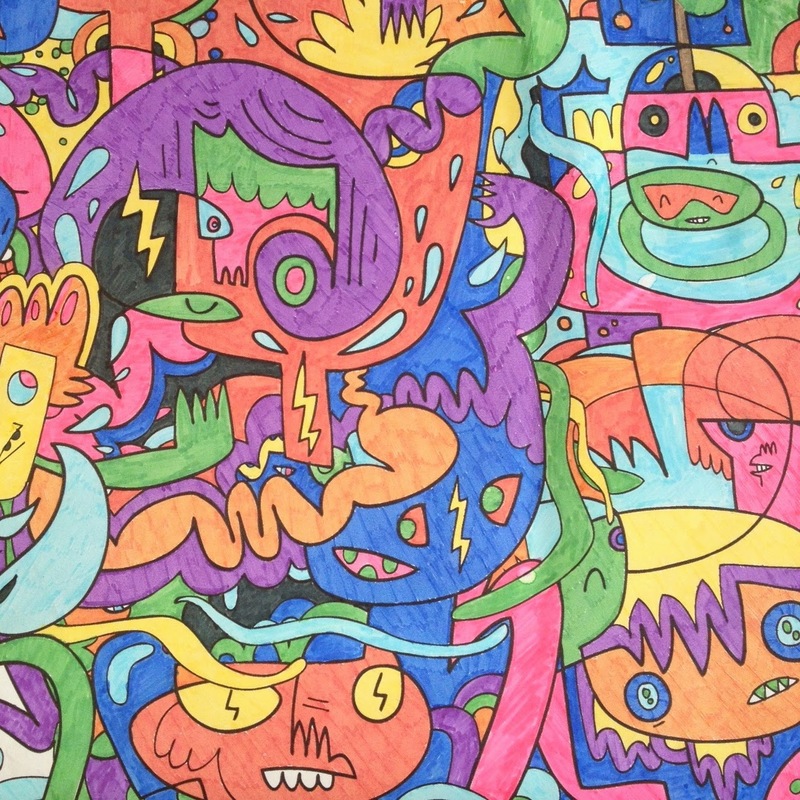 This black & white wallpaper looks great when it has not been coloured in, but I must say it is highly addictive colouring it in with bright felt pens. I spent the best part of two hours yesterday with Mr 6 (who was home sick from school) colouring in a 52cm x 52cm off cut which was left over. In that two hours we managed to only colour in a quarter of the picture. Burger Mash comes in a 10m x 52cm roll. 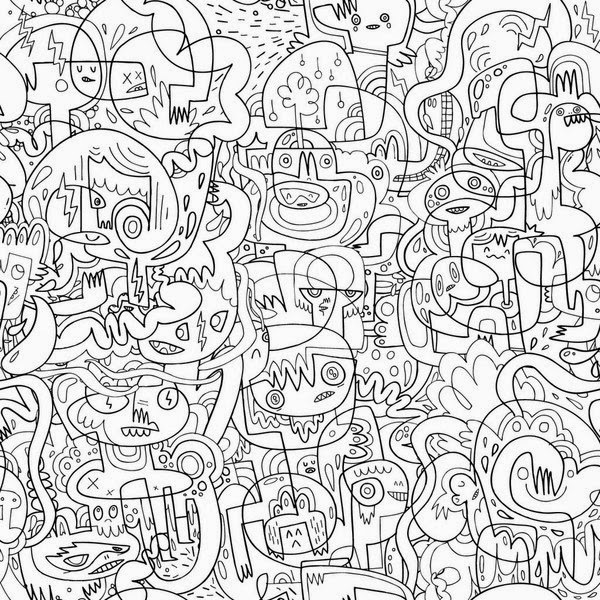 Just Kids Wallpaper also sells off-cuts 52cm x52cm for $20. It is great value for money. It has managed to keep the kids very entertained & occupied. Use paints, felt tips or marker pens to get the best results.